Croatia Holidays [2019 / 2020] Croatia Travel Experts Book today! All our Croatia holiday packages include private transfers, accommodation of your choice and a private guided tour of the destination you’re visiting. Combine a visit to Croatia’s capital of Zagreb with a stay in sunny Split on the Croatian coast or spend a week visiting Croatia’s most beautiful islands: Hvar, Brač, Korčula and Vis. Take a look at some of our Makarska Croatia holidays. With some of the most beautiful views over the Adriatic, it will surely take your breath away. Finish your trip in spectacular Dubrovnik, the star of Croatia’s tourism boasting wonderful Medieval walls. Book your luxury Croatia holiday with us today! Have more time on your hands? Extend your holiday and visit two or three different countries over 10 or 14 days. Start in Ljubljana, make a stop in Zagreb and continue towards Hungary and its beautiful capital of Budapest. If you’re traveling to the coast, why not combine a visit to Split and Dubrovnik with neighbouring Montenegro and its beautiful coastal cities of Kotor and Budva. Still can’t decide? Click on the button below and send us a message. We’re happy to tailor a holiday to your needs. Welcome to Croatia! Dobrodošli u Hrvatsku! At Tour Croatia, all holidays are carefully tailored by knowledgeable local experts, taking your preferences into account and offering the best value for your money. From the moment you first get in touch with us until your return home, we’ll provide dedicated customer support every step of the way in order to make your stay in Croatia unforgettable. Whether you’re looking for a long summer holiday, a group coach tour or a short weekend getaway, we’re here to help any way we can. If you’re unsure when to travel to Croatia or which areas to visit, please talk directly with one of our travel experts. They will be happy to suggest best itineraries or even tailor a brand-new tour just for you! Croatia is a very small country proud of its extraordinary diversity. 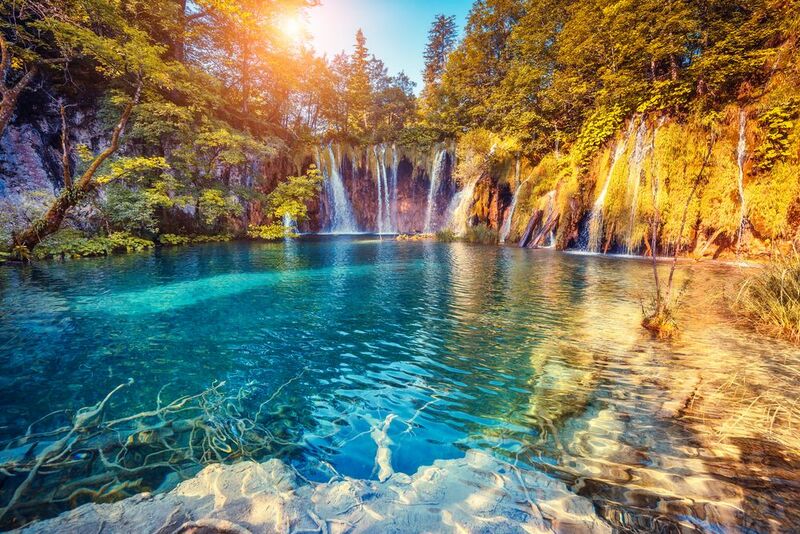 Less than half the size of England and counting only 4.3 million inhabitants, the Republic of Croatia boasts green mountains, crystal blue sea, over a thousand islands and islets, countless waterfalls, golden fields and dense forests. This is a home to world-class football players, electric cars, cravats and King’s Landing. Croatia is a place where summers start early and end late; winters are white and Christmas is the best in Europe! Our package holidays come with carefully chosen hotels or private accommodation, seamless private taxi transfers, pre-booked catamaran and ferry tickets, hand-picked city tours and day trips. We are also happy to assist with flights, festival or theatre tickets, honeymoon arrangements, birthday celebrations and any other occasions. Our twin-centre holidays are perfect for those looking to spend a minimum of 7 nights in Croatia and the surrounding countries. 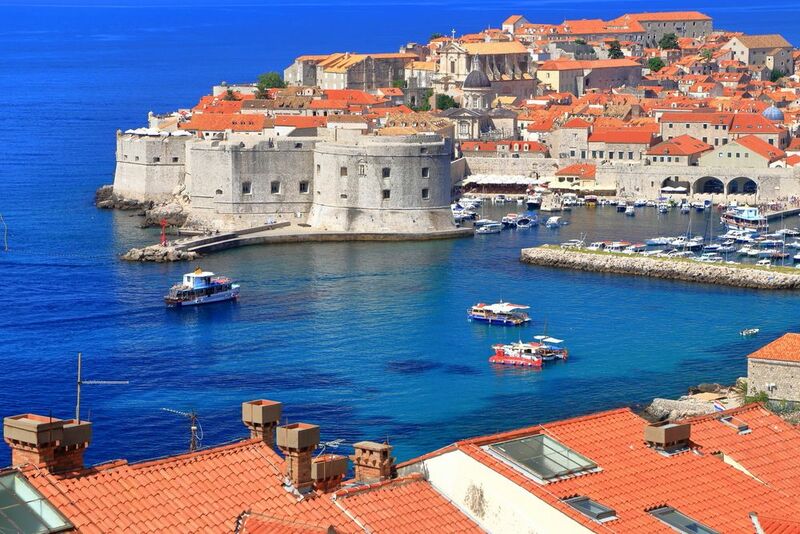 Combine Dubrovnik and Split, Hvar, Korčula and more on your next summer adventure. Have a look at our selection of twin-centre holidays and get in touch to arrange your next trip. Our absolute best-seller among Croatia twin-centre holidays is the Dubrovnik to Split twin-centre holiday, allowing you enough time to explore both cities, visit the surrounding attractions and relax by the sea. We offer excellent private city tours, done by our local, English-speaking guides. If you’re looking to spend at least 10 nights on your holiday, please have a look at our multi-centre Croatia holidays. Most travellers combine two mainland destinations with one of the islands in between. 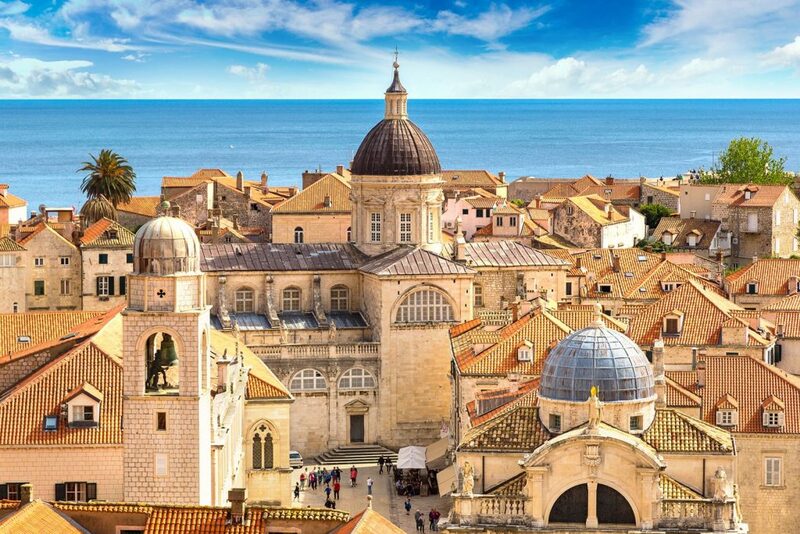 Start your adventure in spectacular Dubrovnik and explore the medieval old town, continue to Korčula Island to visit Marco Polo’s house and to hit the beach and finish in Split where the ancient Diocletian’s palace is situated. 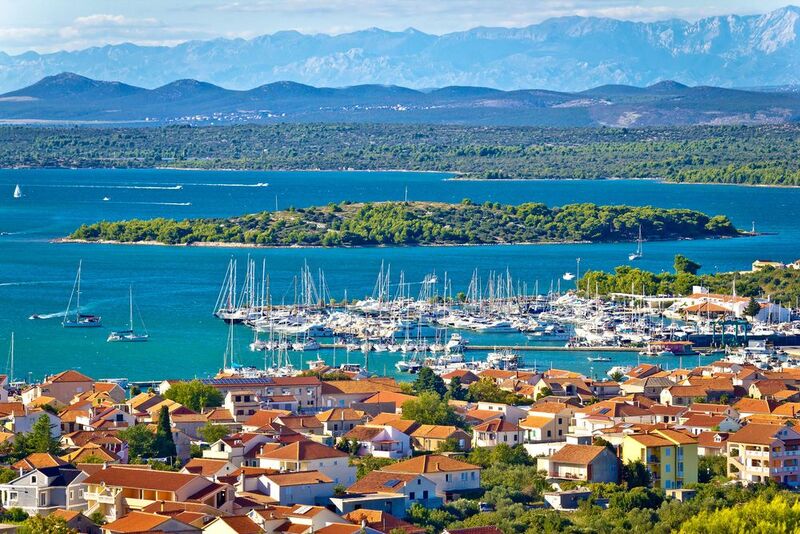 Alternatively, visit Poreč and Pula in the picturesque wine-growing region of Istria, finishing your holiday in magnificent Venice in neighbouring Italy. With islands situated close to one another, Croatia island-hopping is easy and fun! Visit several islands and mainland destinations over the course of 10 nights or more. Don’t miss out on popular Hvar Island, famous for the medieval Hvar Town, one of Croatia’s most luxurious destinations. Korčula Island is a home to Marco Polo, medieval traveller and explorer, and a breath-taking summer destination. 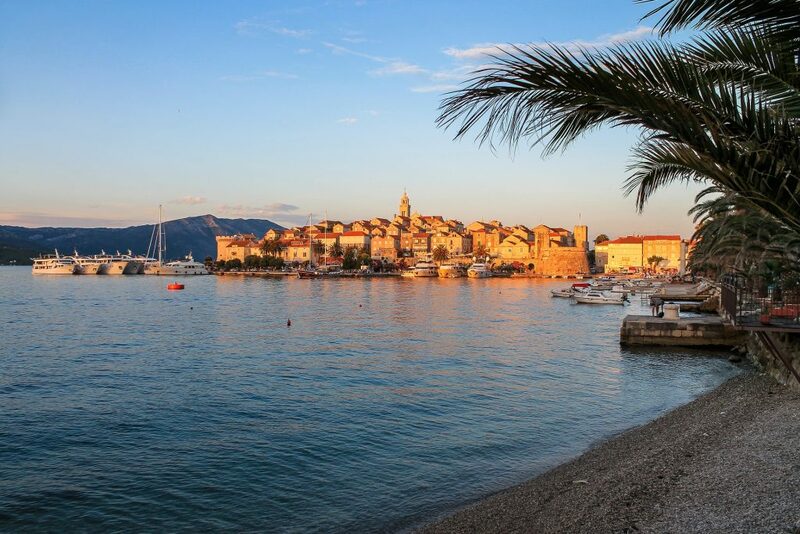 If you enjoy nature, secluded bays and “Mamma Mia” films, head to Vis Island for a few relaxing days in the sun. Bol Town on Brač Island is a home to Croatia’s most photographed beach – the remarkable Zlatni Rat. We’ll tailor an escorted holiday for you, suggesting best places to visit, hotels to stay at and things to do and experience. Book one of our escorted tours and be accompanied by a private tour leader and driver who’ll guide you on your trip. We recommend booking an escorted tour when planning to visit more than one country and staying for longer than 10 nights. 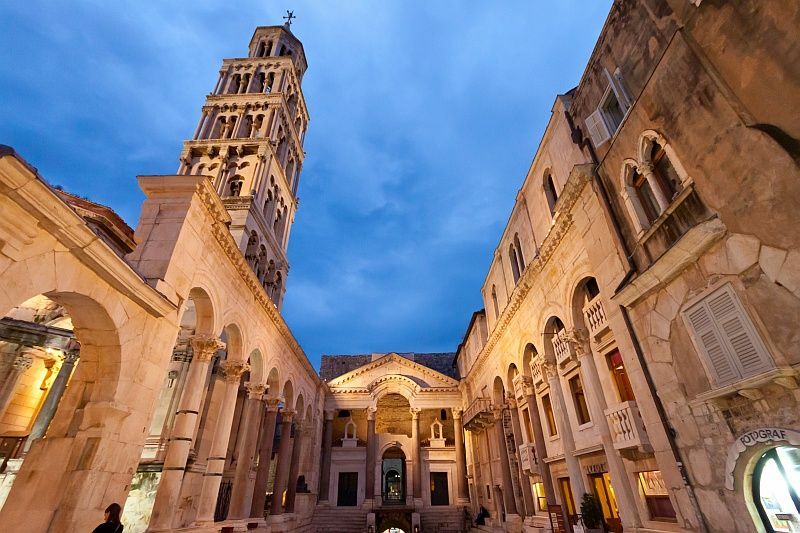 Our most popular escorted tour starts in Venice and takes you to Croatia’s most beautiful destinations: Zagreb, Plitvice Lakes National Park, Split and Dubrovnik. If you have more time on your hands, add several nights to visit Sarajevo or Mostar in Bosnia and Herzegovina and Kotor in Montenegro. Visit one of Croatia’s cities over 3 or 4 nights, learn about this country’s long history and culture and taste the best local food and wine! Our Zagreb city break is an excellent choice for your winter break, hosting the best European Christmas market! Bring your warmest clothes and lots of Christmas spirit as this beautiful pocket-sized capital will leave you speechless. Dubrovnik, Zadar, Pula and Split are wonderful destinations with enough to see and do in colder months as well as in summer. If you wish to visit Croatia’s neighbouring country, enquire about our Ljubljana, Sarajevo or Budva city break holidays. Explore Croatia’s coastal region of Dalmatia from one of our luxurious cruise ship next summer! Our island hopping cruises depart from Dubrovnik and Omiš and last over 7 nights. Choose between lower, main and upper deck cabins and embark on an exciting Croatia small ship cruise. All our cruise holidays include private airport transfers, 7-night stay in a cabin of your choice and two meals a day. Group walking tours can be added to your package holiday upon request. Explore chic Hvar, historic Korčula, green Mljet, serene Vis… all this from one of our hand-picked luxurious cruise ships. Enquire today to secure your cabin! If you’re looking for an affordable group holiday, our coach tours are the best choice for you. Join the UNESCO & Natural Sites Coach Tour starting in Zagreb and finishing in Dubrovnik. On your way, you’ll visit the popular Plitvice Lakes National Park, boasting sixteen emerald lakes and countless waterfalls. Get ready to further explore Croatia as this tour will take you to Zadar, famous for the remarkable sea organ; Split, a home to the ancient Diocletian’s Palace; Dubrovnik, world-known for its massive medieval walls and the UNESCO-protected Old Town. Our Grand Coach Tour of Four Countries starts and ends in Zagreb, covering the most beautiful places in Slovenia, Croatia and Bosnia & Herzegovina. 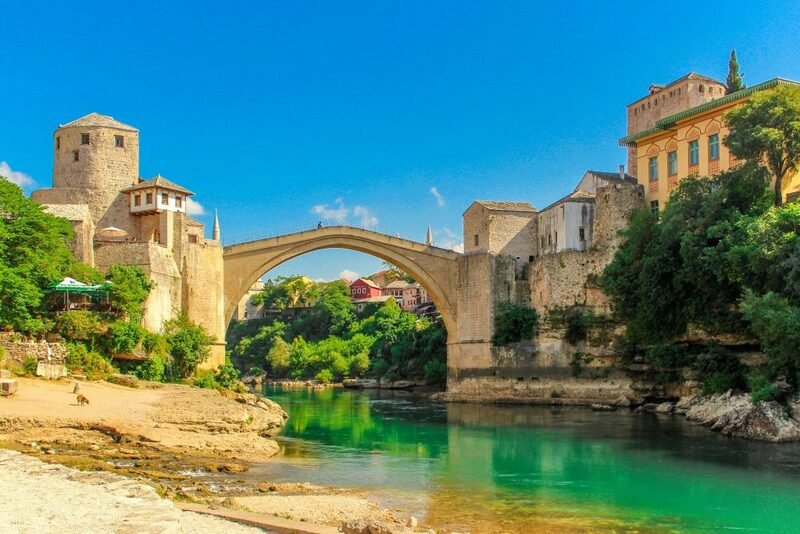 This massive Balkan coach tour will take you to Belgrade, Ljubljana, Sarajevo and Zagreb, the four capital cities boasting immense cultural and historic heritage.